Best of the best of marque’s sports cars are expected at seventh annual event on the grounds of the National Motor Museum. 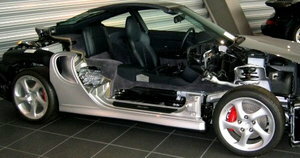 First purely electrically powered sports car from Porsche is gaining significant global attention. ‘Cannonball’ record-holder tries it out on his Porsche 993. With Porsche Wet Mode, the sports car offers even better handling on wet roads – a world-first introduced exclusively for the 911. Zuffenhausen is developing the Porsche 718 Cayman GT4 Clubsport to mark the sports car manufacturer’s return to rallying.